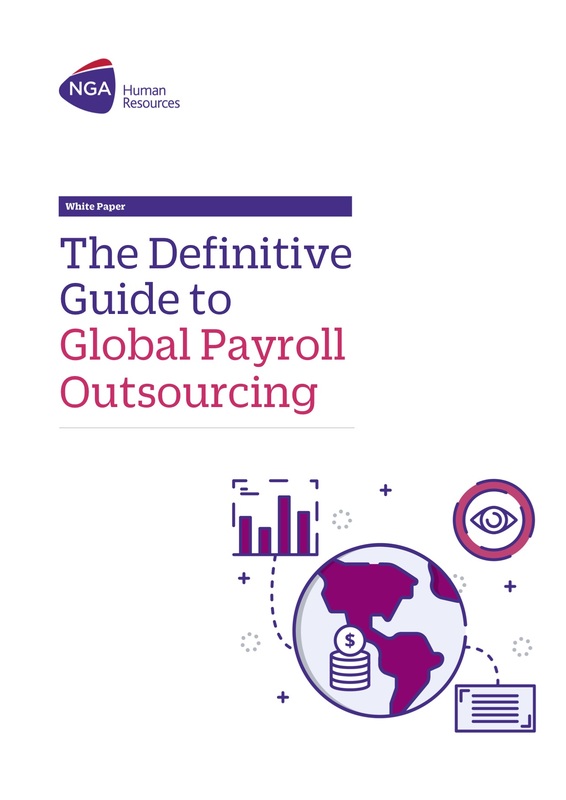 Companies expand globally every day, but finding a reliable way to integrate HR systems with payroll in all territories remains a common challenge. 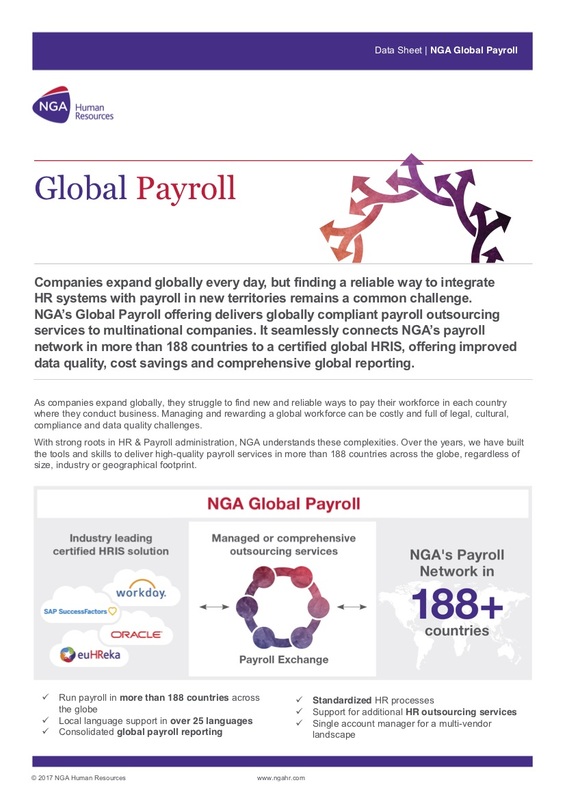 NGA’s Global Payroll offering delivers globally compliant payroll outsourcing services to multinational companies. It seamlessly connects NGA’s network of payroll engines in 188 countries to a certified global HRIS, offering improved data quality, cost savings and comprehensive global reporting.